Congratulations to Centennial’s Wrestling Regional Qualifiers! Congratulations to Centennial’s Wrestling Regional Qualifiers: Mike Jimolka, 4th place; Garrett Graeser, 2nd place; Tonasis Rolle, 4th place; Kevin Smith, 3rd place; Jacob Holtz, 4th place; JoJo Alford, 4th place; and Logan Henik, 4th place. 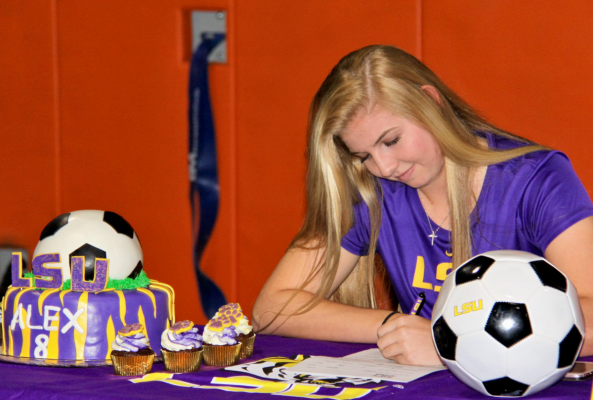 Mosaic Digital Academy Senior Alex Vandergrift signed her LSU Soccer Scholarship on Feb 1st.